I’m coming down the homestretch of the famous blue oval at Drake Stadium. Runners in the Des Moines Marathon can even watch themselves on the big screen at the track. Marathon No. 11 is in the books. Don’t count your PRs until they are hatched achieved. The Des Moines Marathon on Sunday, Oct. 20, provided some much-needed redemption from last year’s fiasco and also teased me about what might be possible. It was a beautiful day for a race: 42 degrees at the start and blue skies. I had a solid year’s worth of racing and training under my belt. Everything was set up for a good run — if I just didn’t screw it up. I had a grimace on my face as I crossed the finish line of the Des Moines Marathon in October 2013. I could have run the last two or three miles stronger, but I was happy that I was able to push as hard as I did. This year has been a good one for racing and training. I’ve hit my mileage goals, completed a 50-miler and remained relatively injury-free. I’ve done this by being smart with my approach. I’ve built a good base of training miles, and when the usual nagging injuries have flared, I’ve backed off for several days or a week or two. This year, I tried to set a very realistic goal for Des Moines: finish better than last year. I made a couple of crucial errors last year. First, I ran too many long runs too close to the race itself, not allowing adequate time for a taper. And during the race itself, I plowed through the early rolling hills at a too-aggressive pace. I paid for those two mistakes by running out of gas in the last 8 miles. This year, I was determined not to repeat those mistakes. In this 16-week training cycle, I did 5 runs of 16 to 22 miles, but none were closer than 4 weeks to the marathon date — although I did do one slower, 2-hour trail run the week before the race. And as the gun sounded for the marathon, I was determined to run the first miles at slower-than-goal pace. The Des Moines Marathon features several rolling hills between miles 3.5 to 8, flattening out in the final 8 miles. Since my primary goal was simply not to tank this year, I was very comfortable running at a controlled pace. I enjoyed the marathon sights, talked with a runner who ran the Eugene, Oregon, marathon earlier this year, and reveled in the lap around the historic blue oval at Drake Stadium. As I reached miles 16, 17, 18, I realized I wasn’t going to blow up. So I started thinking about my secondary goals: setting a PR or setting a course PR. 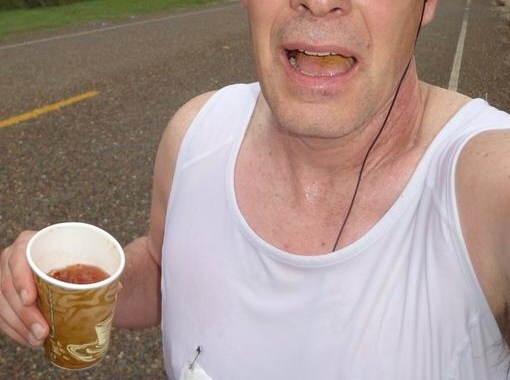 I set my marathon PR in New Orleans — a nearly pancake flat course. For me, setting a PR in Des Moines would be a big accomplishment. But my fastest splits were coming late in the race. I ran my fastest split at mile 12, but my next fastest splits came at miles 22, 20 and 16. I was still trying to hold back, but at mile 18-20, I thought I could maintain the pace for another 6-8 miles. I almost jumped for joy. I’m going to do it, I thought. But I got a bit ahead of myself. I let myself go about 2 miles too soon. By mile 23, I realized my error. My next goal was to set a course PR. This was my third running of the Des Moines Marathon — in addition to the two half marathons I’ve run there. In my opinion, the hills in the early miles don’t make it a great course to shoot for a personal PR. But I could still set a course PR. After the race, I pause to get congratulations from daughter Laura. Laura and my wife, Barb, shadowed me throughout the race, supplying me with my endurance drink, a home-made mix of maltodextrin. Aerobically, I was fine. It was my muscles that were rebelling. I took a few walk breaks in the last 3 miles, but I knew the average pace I needed to maintain for a course PR. If I could keep the average pace on my watch below the target, I’d be satisfied. In the last mile, my IT band, left hamstring and quads were screaming. Several official race photos show the grimace on my face. But I hated to lose my final goal. And with the finish line in sight, I made one final push — and salvaged my last goal. I finished 6 seconds faster than my fastest Des Moines Marathon. I hadn’t exactly shattered my course best, but, hey, a PR is a PR. I put together a better training schedule — and then stuck to it. I maintained my training through a sultry summer that had me questioning my efforts. I ran a smarter race — and didn’t get caught up in the early euphoria. And I had to gut out the last couple of miles in order to meet one of my key goals for the race. Checking off four big boxes brings a smile of satisfaction to my face. 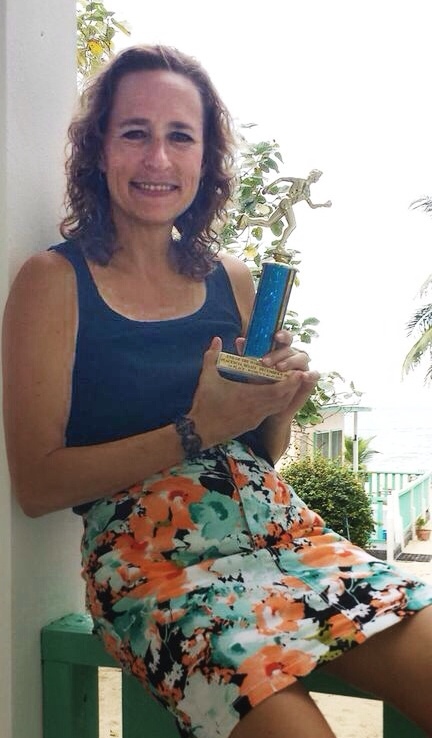 Now, one more race to go in 2013: the End of the World Marathon in Placencia, Belize. But this race is more about soaking up the atmosphere and having a good time than it is about setting PRs. In the end, I’ll judge Placencia by the number of boat drinks consumed — on the course or off, I don’t really care. Sunday’s long run pushed me over the 1,000-mile mark for 2013, which means this has been a good year for a couple of reasons. First, it means I’ve been able log miles on a consistent basis, something I wondered about four years ago when a strange ache at the ischial tuberosity curtailed my efforts for nearly two years. I still suffer the aches and pains of age and training, but I have learned to listen to my body. I can hear the whispers of the normal pain from training. But when the aches begin to scream, I am now smart enough to take some time off. Several times this year, I have cut mileage when the aches increased their protests. But there’s only been one week where I recorded zero miles (two weeks after the ultra), and there have been only a handful of weeks when I have run fewer than 10 miles. My average run exceeded more than 10 miles in January and March. In the past year or two, I have pretty much confined my runs to Tuesday-Thursday-Saturday-Sunday. The roughly every-other-day schedule gives my body more time to rest, but it also forces some sort of cap on weekly mileage. 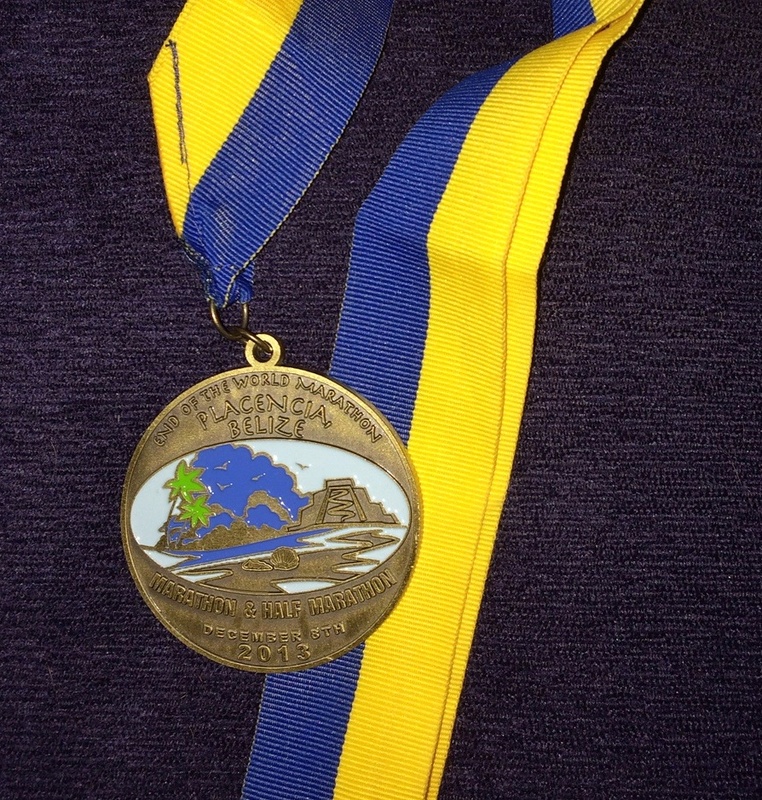 The ultra, the Potawatomi Trail 50, presented a major challenge. I’ve now completed 9 marathons, and I know I can tackle that distance. But I wasn’t sure about covering 50 miles on a trail in one session. That unknown distance increased my focus. The trails presented a whole new set of challenges themselves. And I enjoyed the physical effort and the mental challenge that the trail ultra posed. I still have two marathons planned for the remainder of 2013. In late October, I’ll run the Des Moines Marathon, which will be the fifth time for that race (third time for the marathon, twice in the half marathon). Last year, I stumbled to an awful finish in Des Moines. After a strong start this year, I had hoped to set a new PR there and gain a bit of redemption. But some unplanned rest at times throughout the summer means my training isn’t where it should be. So this year, I’ll keep telling myself “Run a smart race,” and my goal will be to beat last year’s disaster. 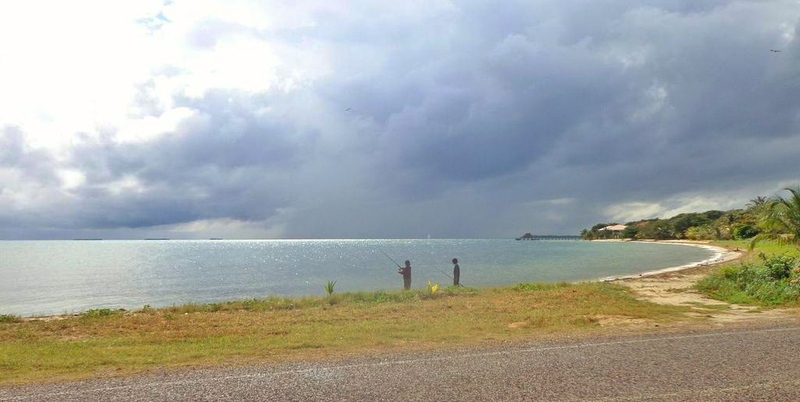 In December, I’ll run the End of the World Marathon in Placencia, Belize. It will be my first international marathon and my first trip to Belize. The goal there: Have fun and finish. 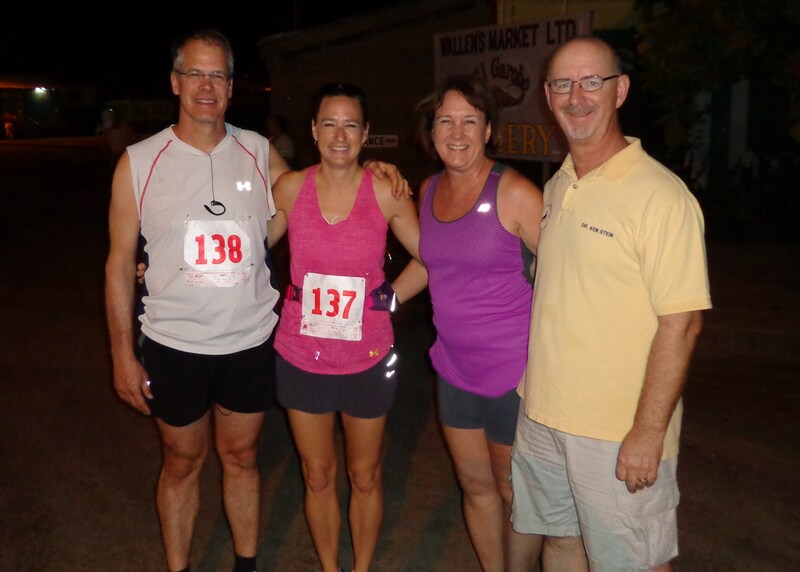 A race in a tropical locale, accompanied by my wife and good friends — I can’t see any way I won’t reach my goals for this race. And finally, my relative good health this year means I should meet my annual mileage goal and set me up for a new challenge in 2014. 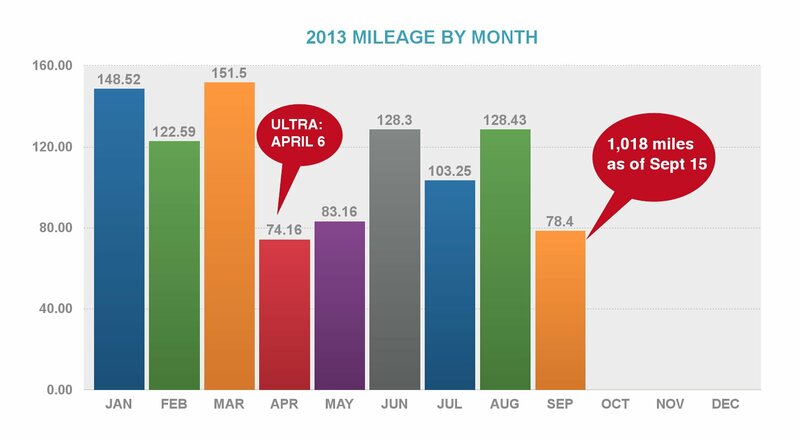 Coming into 2013, my mileage goal was to exceed what I ran in 2012. In 2012, I was finally able to run a couple marathons — after a two-year hiatus — and I wanted to stay healthy enough to build on that in 2013. So far, so good. And that has me thinking about 2014. The Illinois ultramarathon was a ton of fun, but I’d like to take that a step further in 2014. I love Wyoming, and we’ve spent some time in the Bighorn Mountains in the north-central part of the state. And that makes the Bighorn Mountain 50 mile run attractive. Registration doesn’t open until January, so I’ve got plenty of time to plan and prepare. I’m sure there will be additional challenges pop up between now and the end of the year, but with three-fourths of 2013 behind me, it’s been a good year.